Custom Sheds Oregon: Decorate Your She Shed! At Better Built Barns in Oregon, there’s nothing we love more than providing someone with the perfect custom shed. 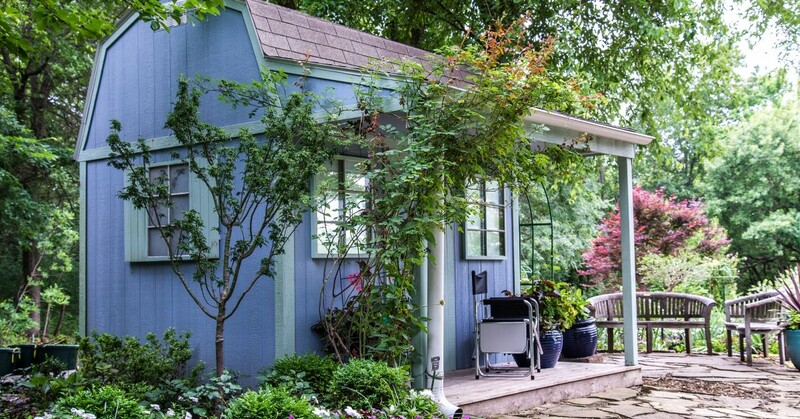 Once the structure is built, the owner is able to do whatever they want with it, whether that’s use it as a workshop, use it for storage, or turn it into their very own she shed. She sheds have been gaining in popularity over the years, and for good reason. Women around the country have found new ways to decorate their sheds in order to turn them into personal spaces where they can get away from it all, relax with a good book, or catch up with friends and family. In this post, we’ll take a look at how you can decorate your new she shed! Your shed will likely have four walls, and when built right, they’ll be four solid, sturdy walls. Once your shed is up, you can start painting and decorating the interior walls. You might not be adding drywall or another covering, and want to leave the studs exposed for that rustic feel. You can still finish the walls by adding shelves, hanging pictures, and placing certain decor. You may even decide to paint a mural on one of the sections! If you’re going to wire your she shed for electricity, then it’s important to think about what type of lighting you’re going to have. The lights provide illumination, but they also add to the decor of the shed and how it looks and feels inside. A chandelier can be the perfect option for your shed. 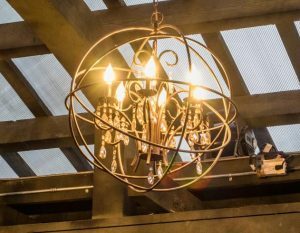 It doesn’t have to be a large chandelier, and your local lighting store will likely have small and mini fixtures that suit your tastes. Hanging your new chandelier will add the touch of class that you want. Lamps are also a must, especially if you’re going to read or lounge in your she shed. Table and floor lamps will add a coziness to the space, and you’ll love spending time there, getting through that next chapter before you go back inside the house. No she shed would be complete without the right accent pieces and furniture. While you may be limited on what furnishings you can have due to the size of your shed, you can still have a comfortable chair or small couch. This space is all about you, so pick pieces that make you happy. If you have a favorite chair in the house, then move it out to the shed! As for accent pieces and decor, surround yourself with items that you like. You may have curios or picture frames that have been stored in boxes for years. Take them out and display them around your she shed. Those personal touches will make the space so much more enjoyable, and you’ll feel like it’s truly yours once everything is in place. At Better Built Barns, we’re here to make your she shed dreams come true. If you’ve been thinking about putting up a new building in the backyard that you can decorate and furnish however you want, then please contact us right away.